Neville Brody: Wanker or Genius? Brody is giving his D&AD President’s Lecture this Wednesday (November 25). 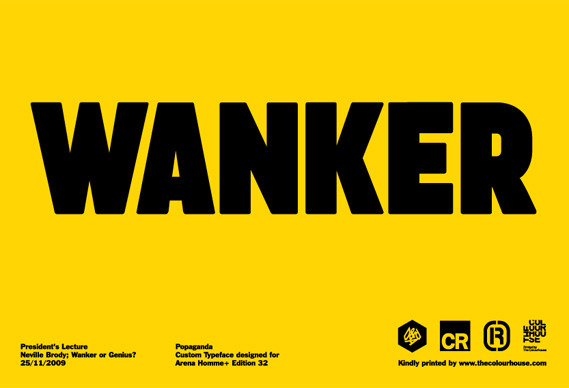 Titled Neville Brody: Wanker or Genius? I’d say genius…but I’m biased.